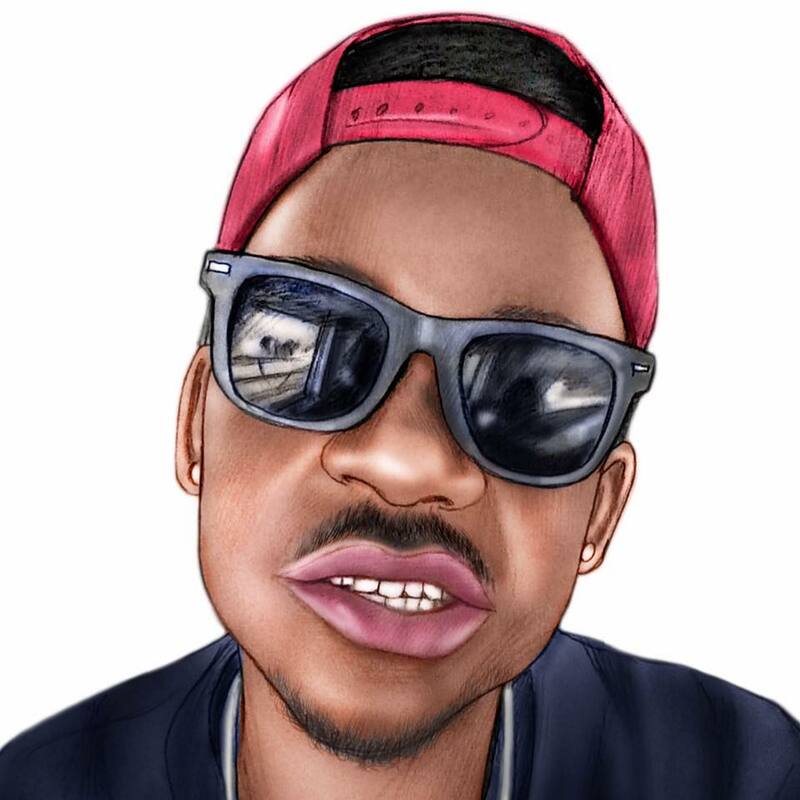 Making R&B that stands out in the crowded and competitive market that the genre’s biggest scenes have been enjoying the last decade is no easy task no matter how talented the artist, but in Victor Pedro’s “Call Me, I Miss Ya!,” the Nigerian singer/songwriter makes it look incredibly simple. Following collaborations with some of the biggest stars in the South African circuit, Pedro has truly come into his own as both a composer and a vocalist, and he demonstrates everything that he’s learned in the six years that have passed since his debut single was released back in 2013 here. The vocal track is the centerpiece of “Call Me, I Miss Ya!,” and though the rhythm is studded with a synthesized groove that is as intoxicating as anything from behind the bar at your local nightclub is, it’s but a drop in the bucket compared to the evocative nature of the lyrics that it acts as a foundation for. Pedro’s voice slides between the ridges in the percussion and paints us a supple but moving picture of heartbreak, yearning and the uncontrollable desire to be with the one we can’t seem to get out of our minds, no matter how hard we try. “Swagger” is the first word that comes to mind when trying to describe these beats that frame the elegant vocal in the master mix, but that swagger never devolves into pure arrogance in the course of the song’s three and a half minutes of running time. There’s a lot of expressive textures in “Call Me, I Miss Ya!,” starting most prominently with the vocal and the bassline and trickling into the drums, particularly when they’re at their most muted in the transition from the first chorus into the next stanza. This could be the most multifaceted piece of music that Pedro has debuted under this moniker, but it isn’t an exercise in eccentricities by any stretch of your imagination. Pedro harmonizes with his backing vocalists in “Call Me, I Miss Ya!” in such a seamless delivery that I’m half tempted to ask who these nameless agents of evocation are. In many ways, I think that this track was designed to exhibit his duality as a singer, but moreover, his ability to tackle virtually any melody that producers could throw his way without ever flinching in the booth. For what I look for in a slick R&B single, he hits it out of the park in this song, and I think that the genre’s most dedicated students are likely to agree with me. If you’ve somehow never heard the music of Victor Pedro prior to now, I’d highly recommend checking out his latest track on the next occasion that you’re shopping for new tunes this April. There’s no one on the American side of the Atlantic working with nearly as refined a skillset as his is, and although he’s still got his trademark rough edges – which wholeheartedly separate him from his closest rivals in the best way possible – I’ve got a gut feeling that this could be the single to put his name in the primetime spotlight after years of putting in his dues within the underground. Millennials can be a tough crowd to please, but Kingdom of Birds are finding a nice niche in their latest record Glitz that appeals to their generation in a uniquely surreal way. Kingdom of Birds are a band of musicians whose ages range from eleven to sixteen, but were you to miss the video for Glitz’ leadoff single “Goodbye” (in which they star), you might be disinclined to realize how young they really are. They distribute some devastating riffs in “Dotted Lines” and “Waiting,” and while they shy away from meticulous arrangements in this EP, they prove unafraid of exploring their depth of artistry in a way that they hadn’t previously demonstrated being capable of. Some of the grooves in this record would be a lot more danceable if they were given just a little bit more electricity from the drums, which shine brightest in the calculated “Your Friends.” “Waiting” puts all of the emphasis on the relationship between the vocal track and the strings, but there’s a lot of adrenaline in the bassline that shapes the narrative of the song as much as the lyrics do. “Your Friends” and “Dotted Lines” have the most agile constructions, but “Unknown” is the track that I found to be the most thought-provoking both in its instrumentation and its words. “Unknown” is an identity song for Kingdom of Birds. The string parts are slightly out of sync. The drums are visceral and have a chilling reverb attached to their swaggering beats that makes our hearts race as we approach the opening verse. The melody is studded with a noisy radiance that balances out the tender bonding between the vocal and the bassline. We’re overwhelmed by the textures, but at the same time, the music is simple, familiar and easy to swing with. 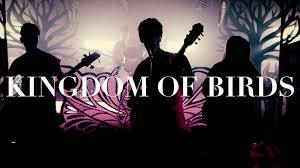 I think if they hammer out a few more tracks like this one, Kingdom of Birds will have a blistering sequel to Glitz. I hear a lot of emotion in this band, and I don’t think that they’re very far from where they need to be in getting primed for mainstream attention. Kingdom of Birds have a lot going for them, and considering how young they are, there’s really no limit to what they could achieve if they keep pursuing this medium with as much zeal as they do in Glitz. I’m confident that this isn’t their swansong, but in the next few years, I fully expect to hear something along those lines from their camp. The blast of bass and guitar brutality that comes roaring out of the amplifiers in The Boyzz’ “Too Wild To Tame.” The rollicking riffage of “Have a Good Time (But Get Out Alive)” from Iron City Houserockers at the peak of their creative prowess. Meat Loaf’s theatrical crooning in “Paradise By the Dashboard Light.” Ronnie Spector’s lush lyricism in “Say Goodbye to Hollywood.” The only place that you’re going to find all four of these classic tracks and many more this season is the freshly recut Cleveland Rocks from the new and improved Cleveland International Records, and anyone who isn’t familiar with this staple compilation should make a plan to do so upon its release this April. You’ll recognize some of your favorites, cherish the gems you’d long forgotten, but more than anything else, you’ll be reminded of how this label garnered its fabled status so long ago. Jim Steinman’s “Rock and Roll Dreams Come Through,” Essence’s “Sweet Fools,” The Rover’s “Wasn’t That a Party” and Just Us Girls’ “Time Warp” don’t oversimplify anything – in fact, they do quite the opposite. These are some of the most indulgent offerings from each of their respective artists, and there’s no attempt made by the producers of this reissue to smother their vintage excesses with modern technique and technology. Every stitch of melodicism here is larger than life and more mammoth than I can even recall it being to begin with, and if anything, we’re getting a much more grandiose stylization of the material than we have ever been treated to before. This physical master mix brings out all of the colorful sonic nuances in Mike Berry’s “I Am a Rocker” and Ian Hunter’s title track (which, despite not being the same rendition, will instantly trigger flashbacks of Drew Carey leading a mob of angst-ridden Clevelanders through the city streets for anyone who remembers 90’s television with fondness), and that’s not a simple task by any stretch of your imagination. 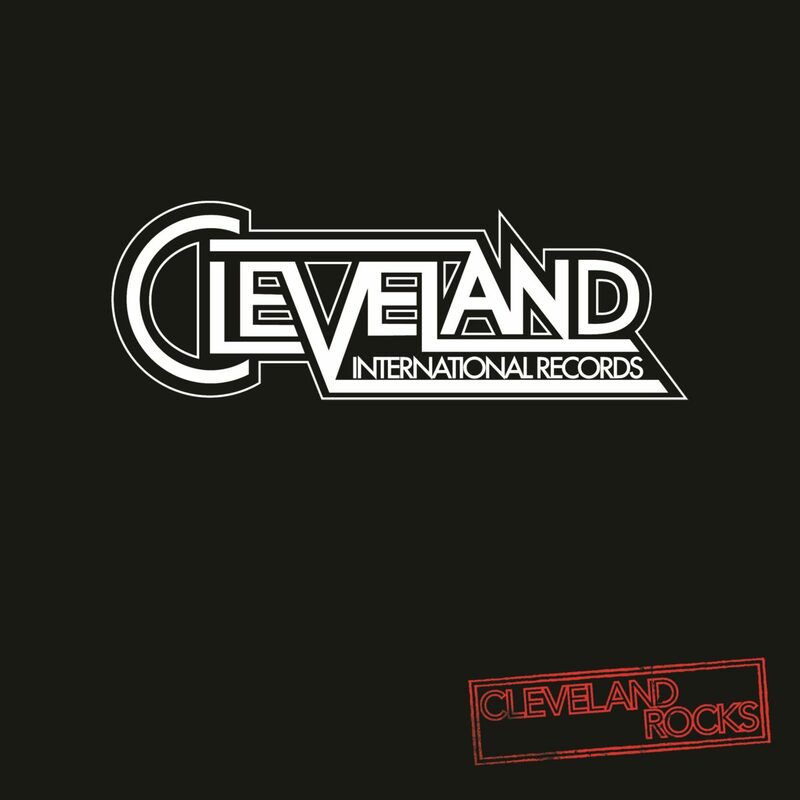 All of the tracks that Cleveland Rocks boasts are transcendent in their presentation and resonate with the current musical climate quite well, despite their rigid aesthetical definition and conventional construction in comparison to some of the more surreal fodder that we hear out of the American indie underground these days. Though currently stationed in Nashville – a city that afforded founder Steve Popovich Sr. some pretty remarkable success in the past – Cleveland International Records plans on returning home to its namesake city in the future, but that isn’t the only thrilling milestone looming over the horizon for this revitalized label. In 2019, they plan on reissuing about a dozen or so different albums from the most coveted corners of their discography, many of which, I might add, have never been available in the digital age prior to now. I’m not the only critic and music fan who will be getting chills when givingCleveland Rocks a well-deserved spin this April, and if you’re as keen on music’s past, present and future as I am, then you’re going to want to acquire a copy of this LP as soon as it becomes possible. The “alternative” branding, as it currently stands in contemporary pop music, doesn’t mean a whole lot to very many people anymore, and it’s got nothing to do with the sudden death of a culture or the musicians who inarguably brought it to life in the first place. 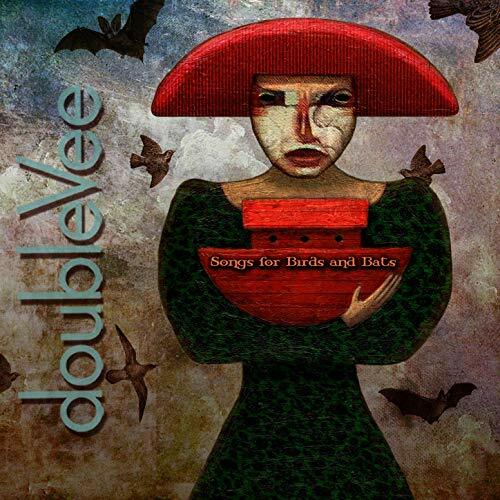 It’s because the term has been overused, misapplied and skewed with inarticulate subtexts; but in the case of Songs for Birds and Bats, the new EP from doubleVee, I think that calling the music that the band plays anything other than “alternative” would be doing it a disservice. The white hotpunker “Ladder for the People,” twisted electronic hybrid “Goldstar Redux” and anti-folk of “Last Castaways” aren’t the type of songs that I would consider to be simple to categorize by normal critical standards, and while songs like “Map the Channels” and “Landlord of the Flies” follow a more formulaic path (at least instrumentally speaking), the same could be said for their eccentrically constructed nucleuses. doubleVee have no interest in blending into a crowd, and if anyone thought the opposite prior to this release, they’re going to be singing quite a different tune this April. “Map the Channels” is straightforward in all the right ways, but it isn’t lacking an experimental style that the other four songs on this record sport with pride. Where “Last Castaways” and “Goldstar Redux” are particularly surreal lyrically, “Map the Channels” flirts with psychedelic grooves inside of a robotic rhythm that, were it not outfitted with these extra bells and whistles, might have been a little too stock for me. “Landlord of the Flies” is one of the weirdest pop songs that I’ve heard in the last month, and ironically, it’s also one of the more original cosmetically. Its textured bassline is so much louder in the mix than the vocals or even the synthesized melodies are, and for whatever reason, it doesn’t overwhelm the speakers with frenzied fuzz at louder volumes. Clearly, doubleVee spent some serious time in the studio hammering out all of the details in these tracks, because they appear to have left no stone unturned in executing a really efficient, albeit painfully short (if you dig the direction), collection of songs. Adrenaline-fueled percussive prowling will keep “Ladder for the People” echoing in your mind long after the music ceases to play, while slothful sonic indulgences in “Goldstar Redux” and “Landlord of the Flies” will get as physical a reaction out of you as they will a mental one – for better or worse – and at the end of the day, you’d be hard-pressed to find a more engaging listen this April than you will in doubleVee’s Songs for Birds and Bats. I had a lot of high expectations coming into this review, having thoroughly enjoyed what I heard in The Moonlit Fables of Jack the Rider, and though it’s not quite the watershed release that I was hoping for it to be, it is the defiantly decadent step towards greatness that the band needed to take before making their foray into the primetime limelight once and for all. 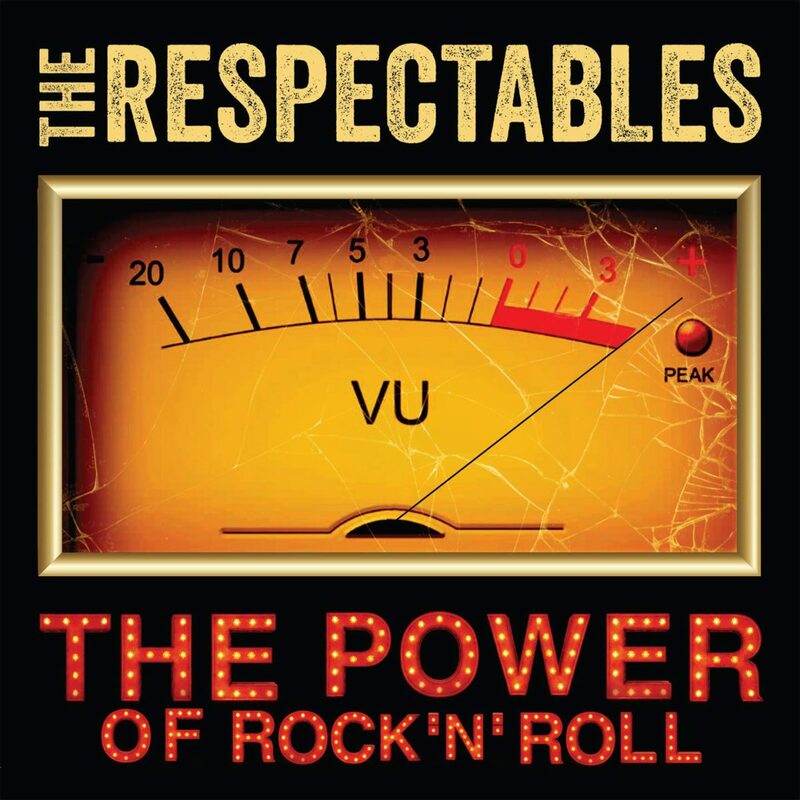 Canadian rockers The Respectables return with a new album, The Power of Rock and Roll, an accompanying leadoff single and video certain to solidify their longstanding reputation as one of the best rock acts hailing from the Great White North. The eleven song collection is an expertly produced affair courtesy of longtime Rolling Stones collaborator Bernard Fowler with cuts featuring renowned guest stars like guitarist Waddy Watchel, formerly a member of Keith Richard’s side project the Xpensive Winos, and delving deep into the band’s blues, rock, and country pedigree with creativity and freshness. Any ideas this is a dead or moribund form should be banished – The Respectables play rock music like it should be played, with abandon and joy, serving to remind eager listeners of what built much of popular music today. The title cut gets things off to a rollicking start and proves to be a keen eared choice for the first single and aforementioned video. The clip depicts the band cutting loose, interspersing some studio footage from the recording sessions, and has a level of professional polish reflecting the commitment the band brings to writing, performing, and recording good music. The songwriting is packed with blues rock flourishes from the guitar, well tested imagery torn straight from the pages of classic Americana rock and blues, and punctuated with a big boisterous chorus certain to linger in the memory. “That Girl” employs some understated slide guitar flair, a satisfying percussive grind, and slows things down just a touch from the title song. 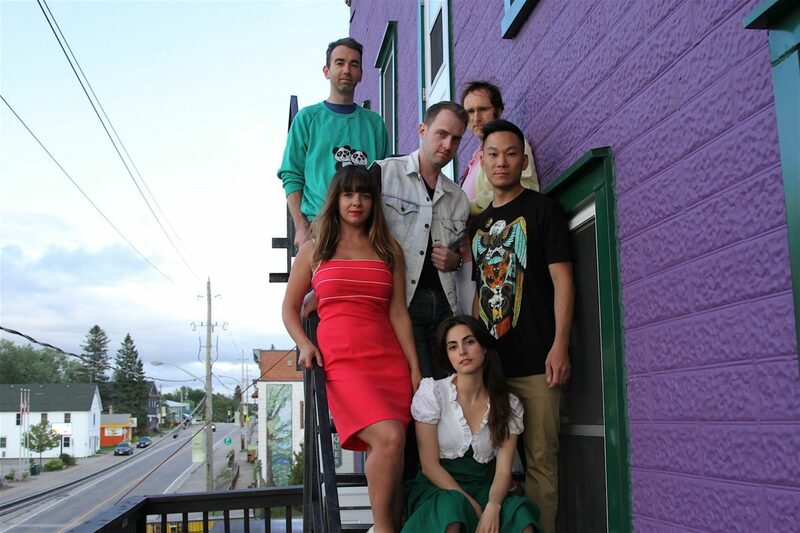 The Respectables conjure effortless atmospherics and even throw some brass during the song’s second half for some added sonic punch. The album continues to draw listeners further into its entertaining web with the rolling rocker “The Shotgun Seat”, another first class primer on how to bring classic rock and roll elements to life in a modern context. There has obviously been a great deal of effort placed behind nailing down their own voice, crafting audience friendly songs, and avoiding a raft of clichés capable of dooming otherwise straight forward rock acts. The Respectables are the real down all down the line. “Mardi Gras” is a fun change of pace where the band goes Deep South with a light jazzy tilt, never too pronounced, but peppering the tune to great effect. The percussive bounce sending this tune on its way is accompanied by an equally buoyant vocal. “As Good As Love Gets” is another change of gears as The Respectables deliver an acoustic ballad with a mild orchestral strain coloring the arrangement, but the introduction of this element never undercuts the genuineness of their effort. We return to the band’s country influences with the piano laced and steady rolling “18 Wheeler” and, despite the band’s Canadian roots, they are never anything less than effective pursuing such ends. The album’s closer continues mixing a hard hitting blues/rock/country sound with acoustic guitar making a final appearance on the release. Once again, the band proves their strength with laying down a memorable chorus that peaks the song without ever obscuring its overall quality. The Power of Rock and Roll is much more than just a mere rock and roll album and has something to offer listeners of every stripe. It’s a winner from first song to last. Sonic waves of melody that are as light as a feather find a muscular shape that exploits their textures for all that they’re worth in “We’d Find.” Suffocating harmonies tumble from the heavens above and through our stereo speakers in “Wolf.” After a bit of thinking aloud, Katie Schottland lays into the most poignant ballad of her young career in “Left Hand Path.” Her solo project, Swimming Bell, delivers the most gripping listen of the season in these three tracks and the seven others than join them in the all-new album Wild Sight, which will be released this coming April 5th and available everywhere that independent music is sold. The poetic thunder that Swimming Bell dishes out in Wild Sight is awe-inspiring, but make no mistake about it – this is the most well-rounded release from Schottland’s solo venture to date. 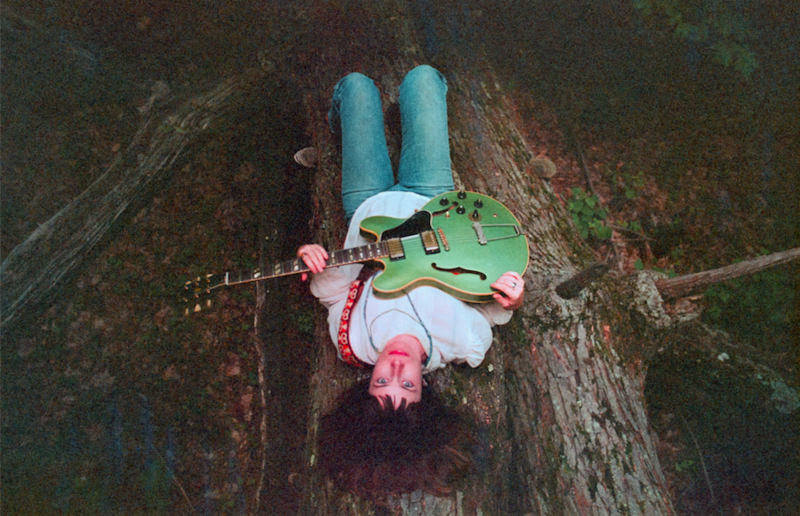 “For Brinsley,” “Cold Clear Moon,” “Quietly Calling” and “Love Liked You” are all about their surreal vocal tracks, while “Got Things,” “1988” and the freewheeling “Good Time, Man” are more about highlighting Schottland’s ability to harmonize with virtually any melody that you could conceivably throw her way. Her singing is absolutely divine in all of these songs, but in instances like “1988,” it’s hard to tell where her spellbinding voice ends and the golden resonance of the strings begin. This isn’t due to a muddy mix; in fact, quite the contrary. When Swimming Bell is operating at full power, its leading lady and the music she creates become a singular force to be reckoned with. Schottland is being really emotional with us throughout Wild Sight, with “We’d Fine,” “For Brinsley,” “Love Liked You” and “Wolf” coming across as particularly intimate and rife with an unfiltered vulnerability in their verses. She’s wearing her heart on her sleeve in this album in a way that so few of her peers have been willing, or able, to do in recent years, and emitting a sound that is remarkably fresh and original in the process. We never wonder whether or not she’s invested in the narrative of “Quietly Calling,” because the sheer tonality of the timbre in her voice tells us everything that we need to know about her commitment to the craft, and more importantly, its integral preservation. If Wild Sight is just a taste of what’s to come in future releases from Swimming Bell, then there isn’t a doubt in my mind that Katie Schottland is sitting at the forefront of her scene, and for that matter, an emerging generation of singer/songwriters who could care less about the conventional sonic parameters set forth by their predecessors. This is a really exciting time in the history of pop music that is producing a more wide-ranging variety of talent than any other era in recent memory has, but I don’t know that I’ve heard anyone with quite the poetic prowess that Schottland has, and boasts so proudly, in this new LP. She’s got a one in a million kind of talent, and she’s not letting her gifts go to waste. Young Doctors in Love boast a sense of album structure you just don’t hear from young acts anymore. It is not the point of view of curmudgeon – the album simply doesn’t dominate the imaginative landscape of up and coming musicians as it did for previous generations, music distribution is turned upside down compared to traditional models, and thus much of the feeling and instincts for assembling a coherent album greater than the sum of its individual parts has dulled with disuse. Young Doctors in Love, a six member band based out of Canada and “lead” by chief songwriter Clay Puddester, exhibit a sense of scale, pacing, and structure rivaling that of bygone icons and the already exceptional songwriting on each of …in Love’s dozen tracks has enormous potential to evolve, over coming years, into something even grander. This unit has yet to peak musically. They’re close however. The one two combination of the short “Julia”, carried most of the way by the vocal magic of co-lead singers Stephanie Matos and Melissa Peters, transforms into the pop throb of the album’s second song and first single “Julianna”. They demonstrate with this opening they understand, all too well, how to bring a listener into their musical world with a minimum of fuss and hold their attention to make the musical statement they want. The video they’ve released for the single “Julianna” is an excellent example of what a promo clip can still accomplish in 2019. It puts an image to the sound and voices for listeners and the band’s stylized look is quite appropriate for the music they write and record, especially a song like this. The song’s energy level is quite high, but Peters and Matos match it all the way with their robust and well paired harmonies. The album’s fourth track “Jamie!” brings horns into the musical frame from the first time and their added color helps this playful romp make an even deeper impact on listeners. “Juliette”, the last of the album’s half dozen songs named after a girl, pushes different buttons than the preceding mini pop symphonies propelling the album’s first five tracks. It isn’t a complete departure from the style established over the course of those songs, but the near menace in the verses is a notable detour from what Young Doctors in Love offer up to this point. “Come On and Love Me (Like You Used to Do)” has one of the most infectious tempos you’ll encounter on this collection and it shifts gears into a chorus certain to sweep you away. Matos and Peters acquit themselves quite well once again. “Just Give Me A Little Bit of Your Love” finds horns returning to the music for some colorful flourishes and, likewise, utilizes Puddester’s guitar to excellent effect. There’s a slight Beatles influence coming through here, but the band consistently produces performances with an idiosyncratic flash that has a frame of reference but, ultimately, owes nothing to any predecessor. 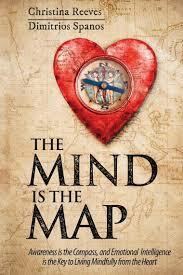 …in Love proves they are skilled pouring old wine into new bottles. Pastoral poet Gary Douglas pulls out all the stops in the new single from his eponymous band, “Million Miles Away,” and by my estimation, delivers some of his very best work yet. Anyone who knows Douglas is more than aware of his dynamic skillset as a singer and songwriter, but few would expect the depth of emotion that he imparts in his latest work, which is captured beautifully in an accompanying lyric video. 2018 saw the release of his last album Deep in the Water, and with this single to kick off 2019, it would appear that his already impressive professional momentum is really starting to pick up. Country music on the mainstream side of the dial hasn’t been willing to experiment with its sound nearly half as much as Douglas does in Deep in the Water, and you can instantly hear the difference in quality when examining the instrumental arrangement that frames “Million Miles Away.” There are shades of rock, pop and even blues in these chords; at one point, the rhythm adopts an almost urban swing that is both playful and yet somber, with Douglas’ words acting as the reconciliation between the two conflicting emotions. If this isn’t profound songwriting, I don’t know what is. The grooves that we come in contact with in this single are as entrancing as the imagery that comprises the lyric video, and together they make for one of the more surreal experiences that I’ve engaged in as a country music critic. The video isn’t shot in a particularly psychedelic or cerebral manner, but its black and white visuals juxtaposed with textured color shots are inspired and even a tad postmodern without a doubt. 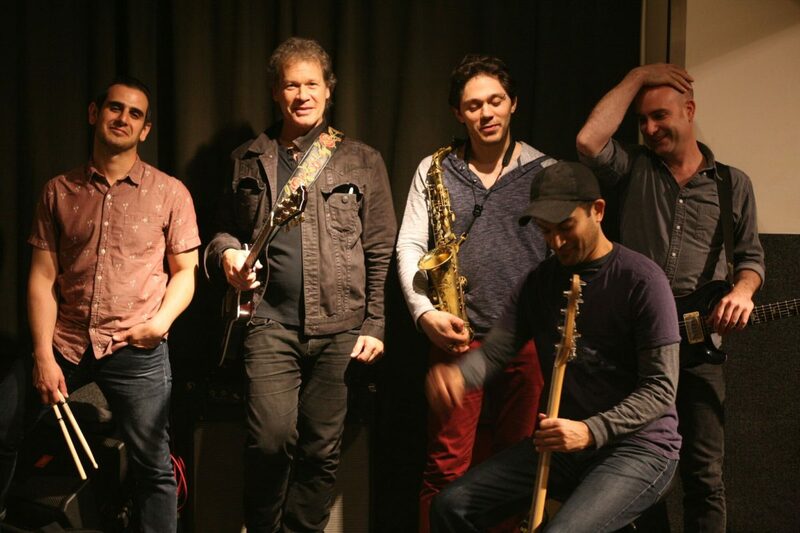 The Gary Douglas Band are credited as a roots group, but don’t let the broad umbrella label fool you; there’s a near-endless supply of artistic layers in the work that they release. “Million Miles Away” is littered with addictive beats that more rock-leaning country fans will really appreciate, but the underlying physicality in both the strings and the piano really emphasize the Americana-inspired polish that this single wears with pride. Douglas is true to his ethos here, and while he’s open to incorporating nuances from a litany of external influences in this melody, he firmly asserts himself as a singer/songwriter first and foremost in this single. Compositionally, this is an ode to the troubadours of yore; stylistically, it’s a glimpse into the future of country’s more fluid, progressive subgenres like we’ve never heard them before. Deep in the Water is a truly great album from start to finish, but after a lot of consideration, I don’t think there’s much debate as to whether or not “Million Miles Away” is its most ear-catching crown jewel. Douglas and his band rip apart the contemporary country formula just to piece it back together with a flamboyant musicality here that is desperately needed in 2019, and frankly, it’s the most endearing element to behold in both the song and the video. He’s proven himself ready for the primetime, and if “Million Miles Away” gets the same exposure that its parent album has, it could easily bring the Gary Douglas Band the fame and fortune that they’ve worked so very hard to achieve. 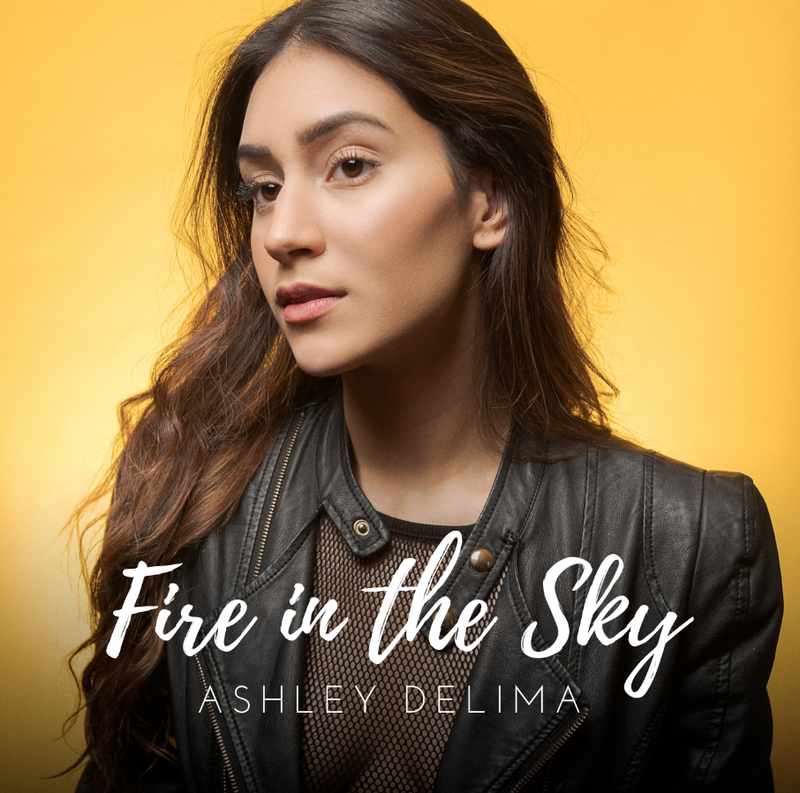 Few pop singers have been making as big a splash with critics around the country as Ashley Delima has in the last year, and in “Fire in the Sky,” it’s easy to see why. Delima’s vibrant vocal style has been described as ethereal and transcendent in the past, and in this latest single from the acclaimed singer and songwriter we get to experience the full scope of her wildly engaging tonality at its most refined and unrelenting yet. Utilizing a collection of beats that wrap around us tightly but stop just short of suffocating us with their pronounced sonic depth and reverberating glow, “Fire in the Sky” stands as one of this season’s most evocative power ballads from any artist, regardless of genre or scene. The single opens with a fleeting guitar strut that is broken up by Delima’s soft singing within ten seconds of its arrival. The strings comfortably hand over the other elements in the song as we move forward, constantly imparting their own moodiness to the narrative in the lyrics, but they meet their match in an ominous bassline that bolsters the vocal track once we get into the guts of “Fire in the Sky.” Delima’s swagger is impossible to ignore, even when the instrumental prowess is at its most intimidating. As adept as her backing band is, nothing is strong enough to overshadow her dashing lead vocal, nor the trail of elegant harmonies that it leaves in its wake with each passing verse. To say that there are a lot of layers in this master mix would be a terrible understatement; while Delima is front and center in all of the action, there’s countless melodic facets joining her in the grander scheme of things here, and they’re all geared towards bringing out the best in her skillful command of the microphone. With the mix meticulously arranged around the stylish singing, you might be inclined to think that “Fire in the Sky” is one of the more lyrically-centered tracks to be released from an indie pop artist this March, but nothing could be further from the truth. Delima is firing on all cylinders here, and using every sonic weapon at her disposal in waging a war on the status quo in western pop music. Ashley Delima’s debut extended play is slated for release later this summer, and if it’s anything like this sterling single from the young singer, then it’s going to be a hit of epic proportions to say the least. 2019 has been dealing us one curveball after another, but in this latest output from Delima, we find some consistency and reliably righteous rhythms from a rising star in the underground who deserves every last bit of the attention she’s been attracting lately with her bold musicality. You’d be hard-pressed to find another song with the same crossover appeal and divinely dispensed lyricism in or out of her scene at the moment, but with harmonies as heavenly as those in “Fire in the Sky,” it seems a little pointless to look any further for the sort of magic that this song has in spades.